WARNING: This Saturday’s encore episode may induce the following behavior: dancing/booty shaking, laughter, uncontrollable smiling, clapping, soulful singing, and bass throwing (if you have one nearby). What are we talking about? 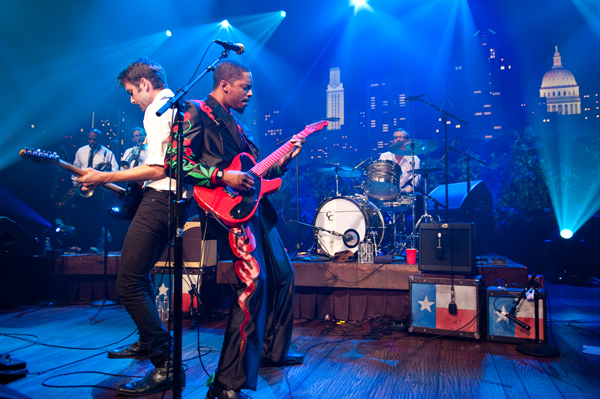 This week’s episode featuring multi-instrumentalist and R&B veteran Raphael Saadiq and Austin’s own Black Joe Lewis & the Honeybears, of course. 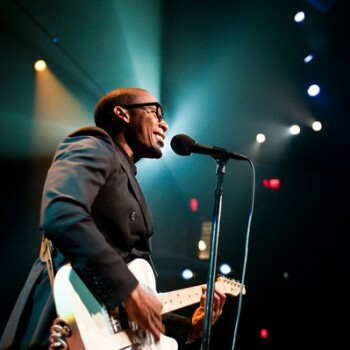 Referring to journalists as “lazy” when they try to fit his musical style under genre specific labels (such as neo-soul), it’s clear from this performance and his albums that Raphael Saadiq draws inspiration from a wide array of artists. 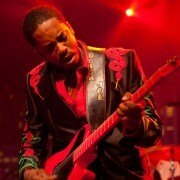 Featuring special guest Kim Wilson of the Fabulous Thunderbirds, Saadiq covers hits from his 2011 album Stone Rollin’. 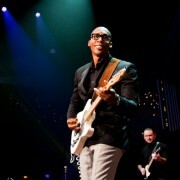 Watch when Saadiq performs the title track, a song he initially wrote when he was 11 about a “full-figured, bluesy woman,” as his background vocalists show as much energy as Saadiq himself. Check your local listings for showtimes to see this episode and be sure to follow us on Facebook and Twitter, or hook up with our newsletter to keep up with updates on tapings and airings! Oh, and please watch out for the bass. Austin City Limits does not condone anyone throwing instruments in the living room, but if you do, let us know because that would be an awesome story worth sharing. Next week: the Decemberists and Gillian Welch.